Great couple + great photographer definitely = great [+ far from standard] photos! Happy Monday, everyone. I hope you all had a nice weekend. Thank you Sarah from Miller + Miller for sharing these photos with me. I hope you all had a nice holiday weekend! Before I talk about these great photos I am sharing with you, I wanted to say I am back in the swing of things blogging after a brief leave. These last few weeks have been a little stressful+ busy both with work and at home [ my Grandma was admitted to the hospital with pneumonia. I am hoping + praying for a great recovery [and special thank you to my great friends-you know who you are-who have sent me sweet messages + tweets last week.]. 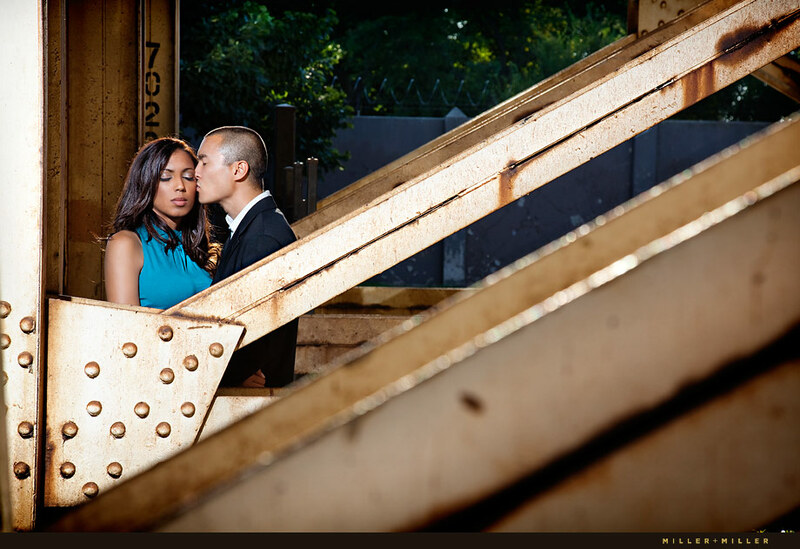 I was delighted when I received an e-mail from Sarah at Miller + Miller with these great engagement session photos of the very fashionable couple Joshua + Stacy. I adore engagement photos that are not only unique + not typical ‘engagement photo-looking’ but also showcase a couple in a unique way. I mean look at these photos…they are so fashion spread-esque! These beautiful images are so chic, classy and refined. Then moved over by “the L” tracks. Then moved over to the Planetarium, which offers a great view of the city. And, photographers Sarah + Ryan said it as well – is this couple model material or what? Great shots Miller + Miller. Night engagement shots – after seeing these, they have become my new favorite. Thank you for sharing these images with me + allowing me to share your work of art with my readers. What a nice surprise this morning to see these beautiful images from bride Christina’s wedding in Puerto Rico that she sent me. Christina’s vision was to have a Spanish themed wedding in Puerto Rico, where she and her husband Carlos first met. Christina described Old San Juan, Puerto Rico as “a modern day movie set for lovers of all things Spanish.” I certainly agree. I adore the vibrant colors + decor that are uniquely Spanish. It makes me reminisce of my time spent living in Spain watching the flamenco dancers in their bright red attire + doing a little flamenco dancing myself. Olé. Carlos and Christina had a traditional Catholic service ceremony at El Cathedral de San Juan. The ceremony music was performed by a Spanish guitarist. The reception was at El Convento Hotel where they had a traditional Puerto Rican cigar roller, a Spanish guitarist who played all night, and served Puerto Rican food. The decor consisted of paper flowers (by Anne Musings), candles and carnations. The signs were were all written in Spanish and the place cards were tiles by LH Calligraphy and were later used to write well wishes on for the couple. Christina’s dress was by Spanish designer San Patrick and her veil was by Elie Saab. The bridesmaids wore veils and gloves to create a more vintage look. The men wore converse shoes, and not just any….they were designed by the groom with Puerto Rico written on the side. The flower girls were spunky in their fun+ non traditional outfits and cute pink converse shoes. And, did I mention there were parasols?… Always love when they’re included! and these preppy chic bridesmaid outfits from the same wedding photographed by Rebekah Westover. Okay, one more trampoline shot because it’s so fun…photographed by Rebekah Westover. + this chic lounge decor from the same wedding photographed by Victor Sizemore. When I saw the beautiful images of this bride + groom session by Jessica Kettle Photography, I was SO inspired. I love the bride Aimee’s dress – which actually, her mother made and they designed together. I also love the groom Kumu’s suit. And, the umbrella + the beautiful scenery as the backdrop just tie it all together so very nicely. 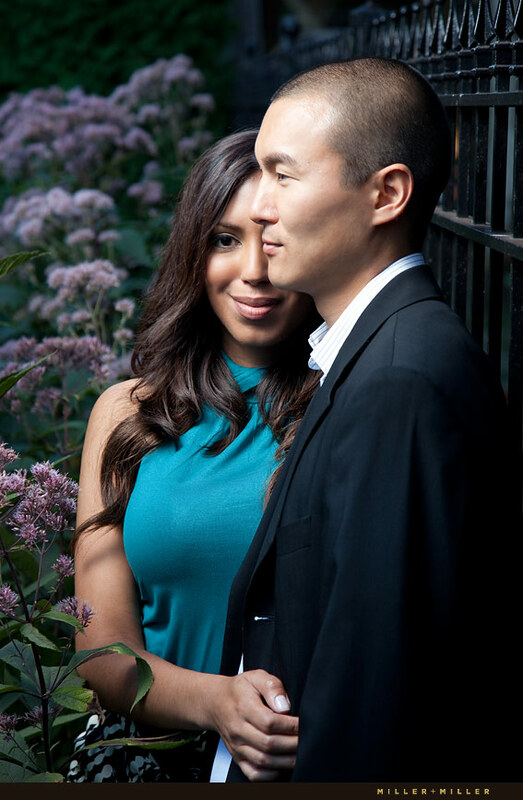 The couple was married in Hawaii but had this bride + groom session in Seattle. 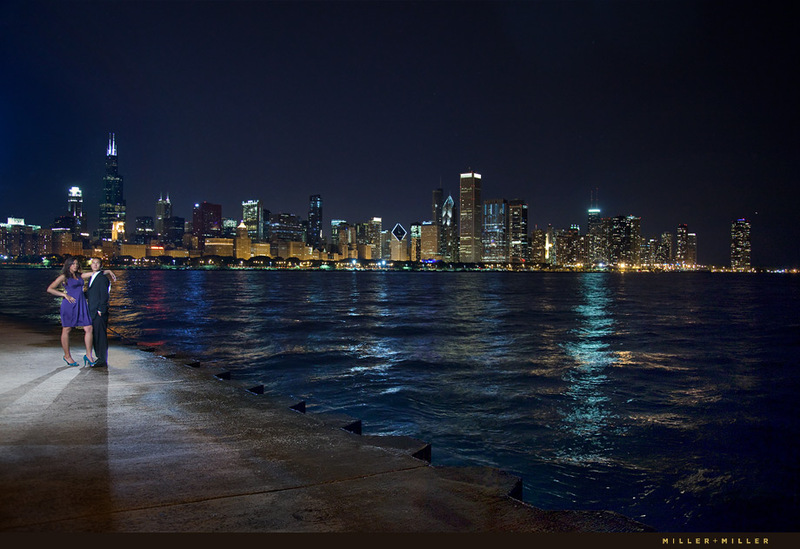 Absolutely beaut-i-ful. Thank you Jessica for allowing me to share your absolutely lovely images with my readers. Is this a stylish couple or what? I love these images from Rebekah Westover Photography that I spotted via the Utah Bride Blog – they are adorable! Loving the picturesque shop as a backdrop.